you can customize the video effect at your disposal by using the editing functions it provides. 4Easysoft DVD to iPad Converter is a strongly recommended DVD to iPad Converter for iPad users, which can convert DVD to iPad movies and all iPad supported MP4, MPEG, H.264/MPEG, MP3, AAC, etc. 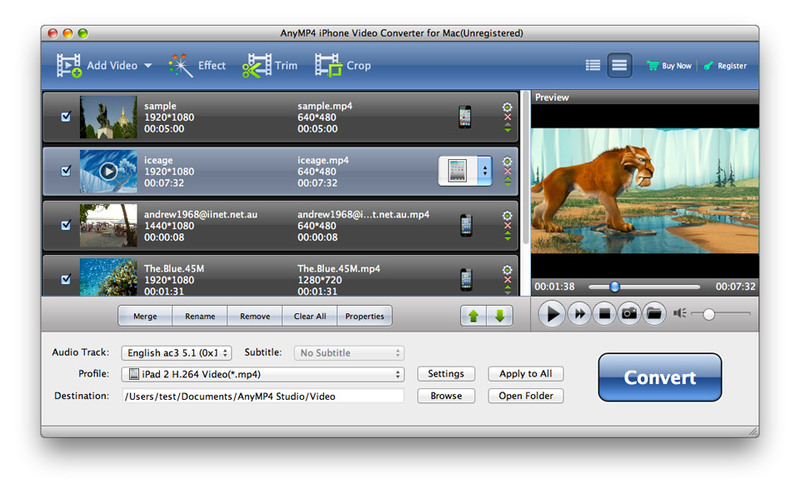 AnyMP4 DVD to iPod Converter for Mac is a professional converting software, which can help Mac users to rip any DVD disc to iPod compatible formats such as MPEG-4, H.264/MPEG-4 AVC, MOV, M4V, AAC, MP3, WAV, etc. with fast speed.